In2Deep Diving is taking over the rock! 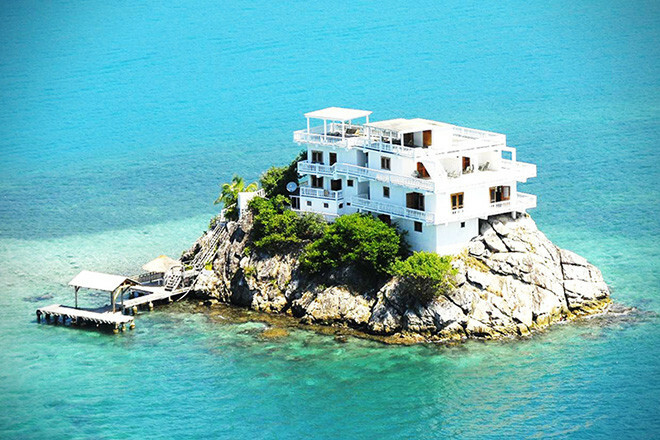 This truly unique and beautiful hotel sits atop it's own island where you can snorkel, swim or scuba around the island. Rates vary depending on the room type and occupancy. Package includes 7 nights accommodations, up to 3 dives daily for 5 days, unlimited tanks for on property shore diving, nitrox, 3 meals daily and a full open bar. Additionally we have use of the Sea Doo Wave Runners and kayaks, boat transfers to and from Guanaja Airport and any tours conducted by Dunbar Rock staff, including snorkel tours, picnic lunches, trips to the beach and tours of Bonacca Town. This is a once in a lifetime dream vacation!! Certified divers, or adults only and you must be able to climb stairs.